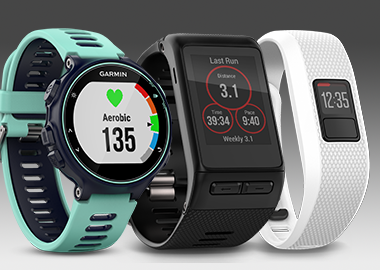 Garmin Connect™ Mobile unlocks the full potential of connected fitness devices. Upload data from your compatible device right to Garmin Connect. 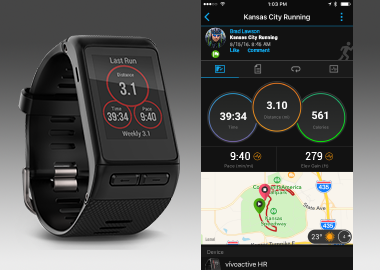 Send customized workouts right to your Garmin devices. 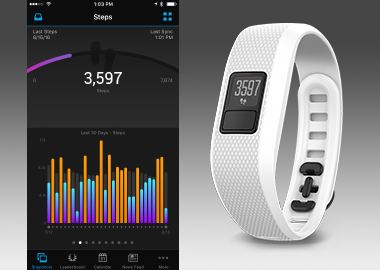 Upload data from your device to track your progress while you’re on the go. 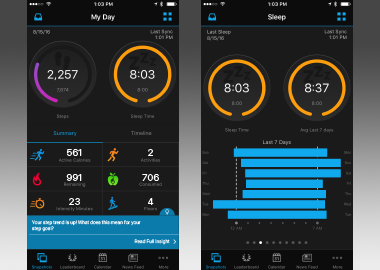 You’ll be able to keep tabs on your total steps and progress toward your goal, how long you’ve been sedentary, sleep patterns and more. 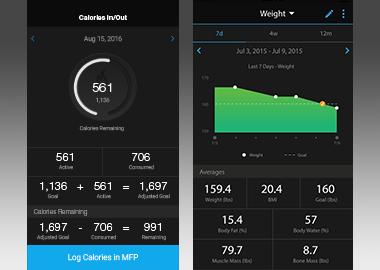 You can even track your calories burned versus calories consumed thanks to MyFitnessPal integration.